Cute High Earth Defense Club Love! 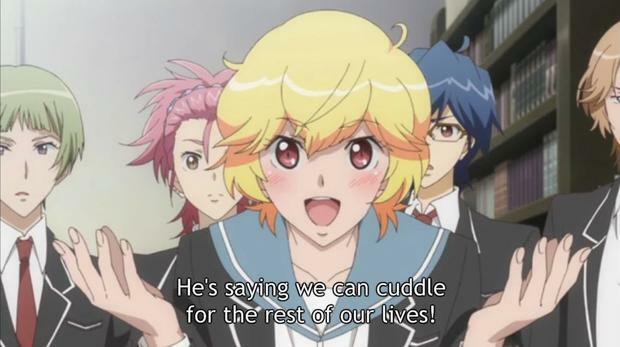 / Binan Koukou Chikyuu Bouei-bu Love! Summary: This is the story of five unlikely heroes who unite under the name of the “Earth Defense Club” at Binan High school alongside a pink wombat-like alien to defend the world and restore love. However, the Earth Conquest Club, a group of three student council members, is not happy about this at all. 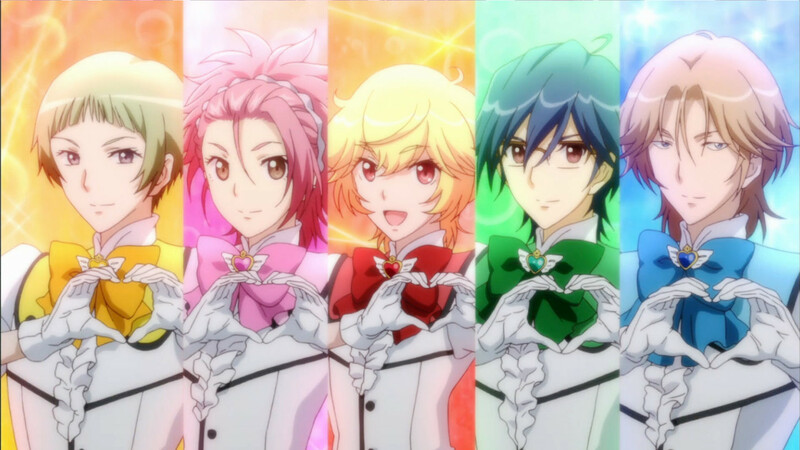 Magical boys…that pretty much sums it up. The story is fairly episodic, with a monster of the week for each episode. The boys power up with a lovely transformation sequence, hip thrust and all, to defeat the monster with their combined love. Of course, there is always a lesson to be learned at the end of the episode. You might enjoy this if: You want to be adventurous. You might not like it if: Homosexual undertones make you nervous. Note to the Viewer: It is exactly what you expect. This entry was posted in Anime and tagged 2015, 53, anime, boy, boys, breanne, club, comedy, conquest, cute, defense, earth, evans, fantasy, fragglepuss, high, life, love, magical, review, school, slice, winter. Bookmark the permalink.